This Radical Run Obstacle Course is the ultimate in compact obstacle courses. Two people can go head-to-head in a competition to tackle this physical challenge the fastest. 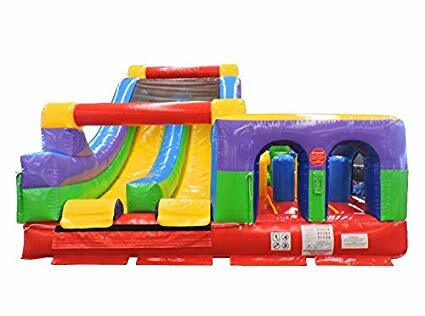 Competitors will have to fit through, crawl under, jump over, and squeeze through the multi-element obstacle course before climbing up the rock wall and going down the 15 foot slide. 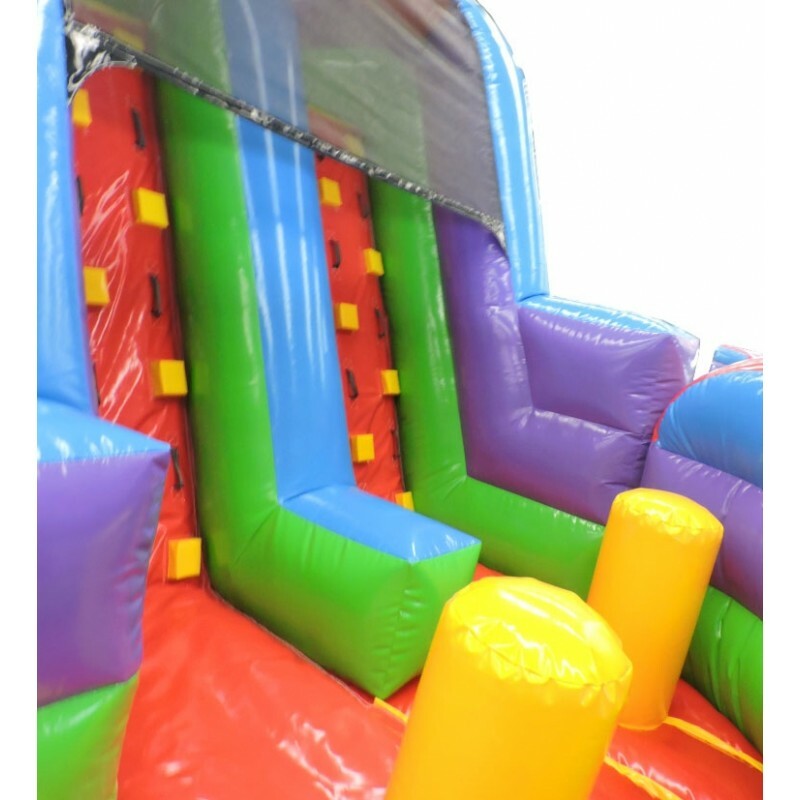 The Radical Run Obstacle Course features bright yellow, green, and purple colors that make it stand out.